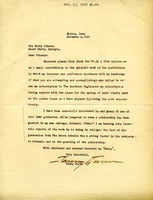 A cordial letter from Martha Berry to a Berry Schools alumnus, Allen Langston. 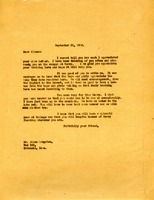 Fanny Duren comments on some literature from Berry, as well as leaflets sent out by Dr. Grenfell's Labarador Mission. 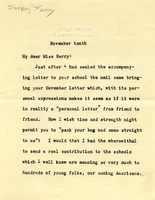 Berry's Allen Langston will spend the Thanksgiving holidays at her home, and she invites Miss Berry to her home if she ever is able to pack her bag and visit the Midwest.